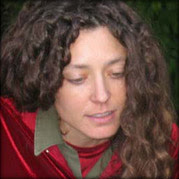 We at PennSound are pleased to announce our newest author page: that of Jennifer Scappettone. Jen has been to the Writers House twice recently. Her page now includes a Segue/Bowery Poetry Club reading; both audio and video of a session she did at KWH with Lyn Hejinian, hosted by Rachel Levitsky; another session in which she read a series of her poems; and a conversation with me, done as a PennSound podcast.